I miss-typed my account name at registration. I could modify it later in the account settings menu. But Forums' display name is still miss-typed one. 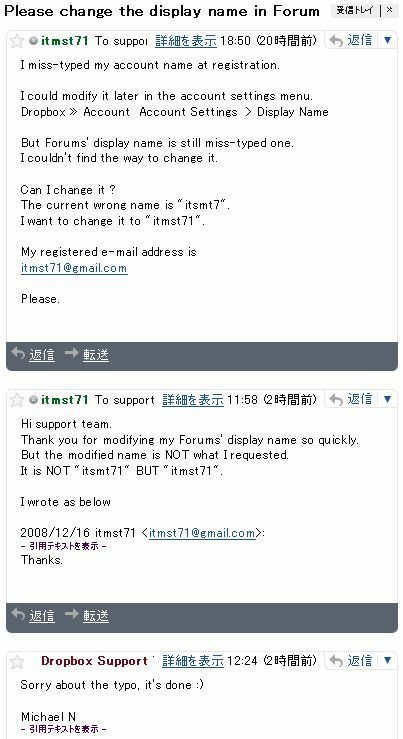 The current wrong name is "itsmt7". I want to change it to "itmst71". Thank you for modifying my Forums' display name so quickly. But the modified name is NOT what I requested. It is NOT "itsmt71" BUT "itmst71".